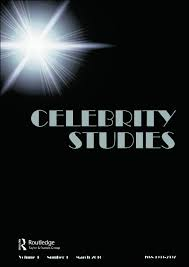 The Celebrity Studies Journal Conference 2018 – “Desecrating Celebrity” will be held at the University of Rome, Sapienza, Italy. Sapienza University of Rome, founded in 1303 by Pope Boniface VIII, is one of the oldest universities in the world, and a top performer in international university rankings. and politics. Merging centuries of tradition with cutting-edge didactic activities, research and innovation, Sapienza provides top quality education and research opportunities. The main campus is a real city within the city located in the heart of Rome. Sapienza University is an extraordinary place for students and teachers from around the world to meet, exchange and develop new ideas and philosophies. And it all takes place in one of the most breath-taking cities in the world. The Conference Venue is in the Faculty of Arts and Humanities, located Piazzale Aldo Moro, 5 – 00195 Roma. Sapienza University is located in the heart of Rome, just a five-minute walk away from the main “Termini” train station. The main entrance to the University Campus is at Piazzale Aldo Moro, 5, but there also are many side entrances to the main campus. Check the following link for further information about the Faculty of Arts and Humanities at Sapienza University of Rome. Here is a map of the different buildings of the University.